Shelburne Vineyard is a proud sponsor of the the 6th Annual Top Chef of the Champlain Valley to benefit CVAA's Meals on Wheels and Case Management Programs. Shawn Calley of Amuse at the Essex Resort & Spa will defend his title, competing against Michael Clauss of the Bluebird Tavern and Andrea Cousineau of the Bearded Frog for the Top Chef prize. 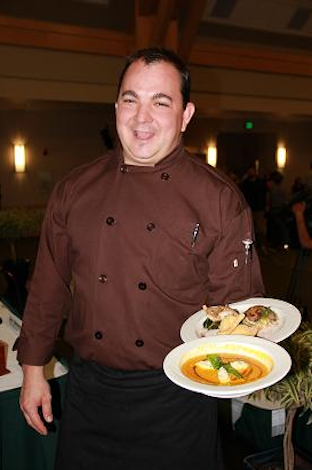 Choose your fan favorite and taste delectable hors d'oeuvres at Taste of the Top Chef in the Davis Center Ballroom. Enjoy gourmet appetizers from the area's top chefs, sample local wines and beers at the tasting, listen to live music, and bid on silent auction items including weekend getaways, gourmet excursions, and tickets to the New England Patriots. Meet the chefs and judges at a reception prior to the event and receive VIP seating during the competition with the purchase of VIP tickets.